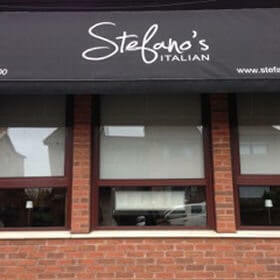 " The Finest Italian Cuisine "
Welcome to Stefano&apos;s Italian, Uddingston. 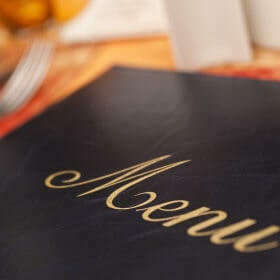 We are a small, family run, Italian restaurant, offering the best quality in Italian cuisine whether that be a light lunch, early evening bite, or our full À la Carte service. Formerly known as Il Buongustaio, Stefano Bericchia, proprietor and chef, creates the finest Italian cuisine and an unforgettable culinary experience. 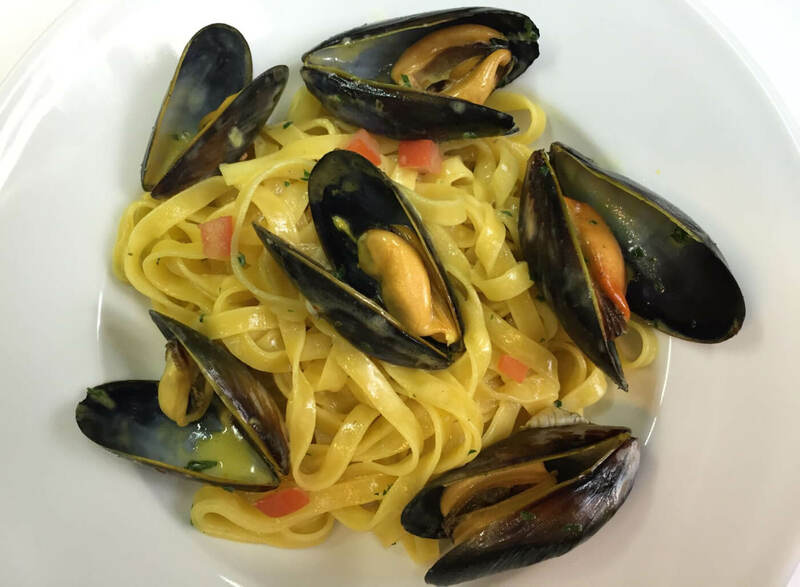 Come and dine in one of the finest Italian restaurants! Every dish is prepared fresh from order. 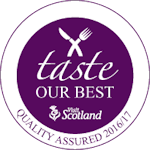 From our fresh Scottish fish to our Prime Scotch Beef down to the eggs and butter we use, we take great pride in sourcing local, seasonal produce were possible. There are, however, times where only genuine Italian produce is acceptable, after all, we wouldn&apos;t be an authentic Italian restaurant if this wasn&apos;t the case. We also have a vast range of Italian and French wines and champagnes to perfectly accompany your meal. We are available for small functions and private dining where menus can be adapted to your personal preference. Outside catering is also available. All prices quoted are inclusive of VAT at 20&percnt;. Please note that a service charge of 10&percnt; will apply to tables of 6 or more. Come and join us for great food, in an intimate yet friendly atmosphere. 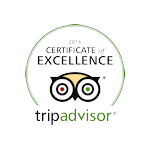 …myself and the rest of the lucky diners had a fab time &hyphen; food, service and atmosphere were outstanding!!! Fantastic meal, food was delicious and service was excellent. Highly recommended! Not only did Stefano cook a lovely meal but he sourced us some oysters that I requested on booking. Can&apos;t wait to go back. Can&apos;t rate this fine place any higher than five stars … but if I could I would. Truly phenomenal, professional and friendly service. Was there with my fianceé and friends for my birthday, and can&apos;t fault any part of the evening. The food was absolutely first class, staff were attentive and great to have round the table. 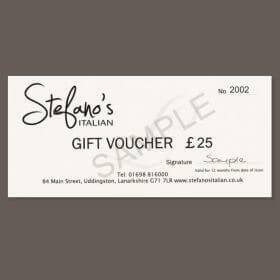 Stefano&apos;s Italian Restaurant Gift Vouchers are a popular gift for Christmas, Birthdays, Mother&apos;s Day or as a special thank you. Available in any denomination, they can be requested and paid for online using most popular credit or debit cards. 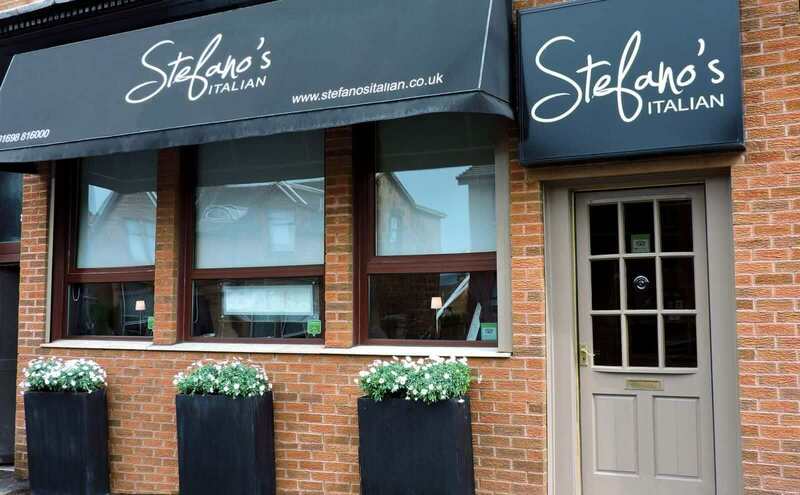 Stefano&apos;s Italian Restaurant has a tasteful and intimate interior, where diners can and enjoy the food and ambience in a relaxed atmoshphere. You can view images of our restaurant and some of our dishes in the gallery. Tues,Wed & Thurs: 12-2pm & 6-10pm.